"Remember" is a simple tool made to correct collective memory errors. just one single mistake – the expression "Polish death camps". To make the world remember that there were no Polish death camps. Only German Nazi concentration and extermination camps. e all have witnessed, many times, how Polish victims of German war crimes have felt drastically humiliated by this expression - above all, former prisoners of German concentration camps and prisons. What’s worse, we’ve also seen many examples of how this lie has caused confusion in the minds of young people from other countries, ready to believe that those death camps were established and run by Poland and Poles. This allows the perpetrators to triumph, and condemns their victims to humiliation once again. Janusz Barszcz, Director of Gross-Rosen Museum in Rogoźnica. 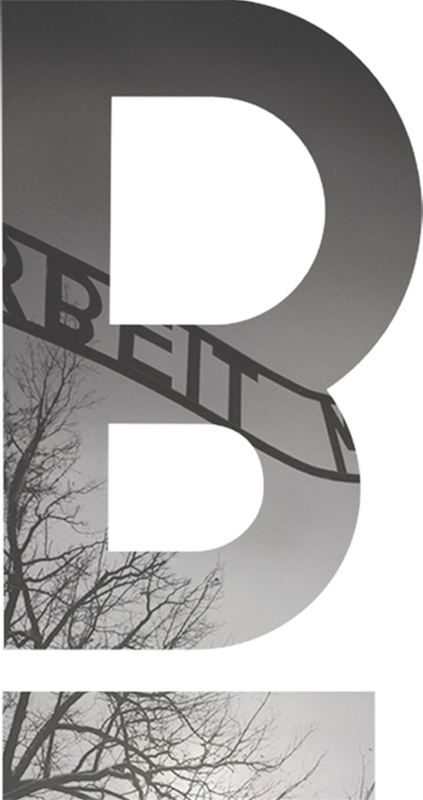 The "B" in "Arbeit macht frei" inscription above the Auschwitz gate is said to be welded upside down in a prisoners’ silent protest against the Nazis’ cynical lie. Let the inverted "B" remember the world that the words can distort and insult the reality. If you see the expression "Polish death camp"
to help avoid falsifying history in the future. “polish death camps” or “polish extermination camps”. The tool finds incorrectly used phrase, underlines it and suggests correct replacement. Japanese, Norwegian, Polish, Russian, Slovakian, Spanish and Swedish. Mail application and Safari browser. and language in use (REMEMBER). DEVELOPED FOR MICROSOFT OFFICE WORD. FCB Sp. Z O.O. shall be liable for any potential damages caused by functioning of www site and add-in developed by FCB Sp. Z O.O., provided that such damages will be caused due to the fault of FCB Sp. Z O.O.